I just got home from a convening with the rest of the Kentucky State Teacher Fellows, where we had some long, tough conversations on equity in our schools. 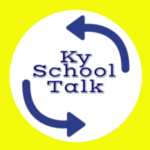 We’re preparing for later this fall, when schools across the Bluegrass are going to witness a major data collection blast from education groups and teacher leaders. The reason is simple: Kentucky is finally realizing that not every student has the same access to a great education and we’ve made up our minds to do something about it. Concerns about promoting equity in Kentucky have been floating around for years, but have mostly concentrated on large and diverse school districts like Jefferson County. When it comes to rural schools and districts like mine, I find that we’re often left out of the conversation. So why aren’t we fighting just as hard for equity in our rural schools? As I’ve said before, the education reform movement tends to overlook rural schools in general. Rural areas aren’t generally diverse, at least not racially and ethnically, making it simple for well-intentioned reformers to gloss over them in their discussions about educational equity. But in doing so, they’re making the mistake of equating equity with race. Put simply, equity is about fairness. If one group is at a disadvantage, especially if it’s something largely out of their control, we try to help. We work to remove the obstacle (or at least its effects). For people of color, those obstacles have often come in the form of lower expectations, and laws and policies which diminish their voices and perpetuate poverty. All of us are implicated in the systemic racism that plagues our nation’s institutions, and of course, overt racism is still alive and kicking today. But rural kids have obstacles too, and we don’t have to forget about racial injustice to acknowledge them. Whereas urban schools are often the epicenter of education reform efforts, rural schools aren’t often given the same attention or supplemental resources. To put it simply, the challenges we face are unique. One major example is the “homework gap” that students across rural areas are experiencing. Especially in places like Appalachia, families who lack access to Broadband internet find themselves on the bottom end of the digital divide, making virtual homework a Sisyphean task. There are also major issues of widespread poverty. Students in rural schools are more likely to experience poverty than those in suburban schools, but our poverty is a different breed than what’s found in urban schools. With 1 in 4 Kentucky students facing poverty, teachers here have to worry about students’ socioemotional well-being in addition to their academics. Speaking of which, out here in the country, schools have a particularly tough time recruiting and keeping both teachers and administrators, especially those of excellent quality. That means fewer AP and dual-credit courses for rural students, who often live in higher education deserts anyway. And because college graduates aren’t exactly lining up to move like communities like mine in rural Kentucky, our tax bases will continue to shrink and our schools will continue to face challenges with funding. Each problem simply compounds with others, making it difficult for rural students and schools to get ahead. Unless we make them a priority, they never will. It’s time for rural schools to be a part of the equity conversation too.